Alistair MacLeod was a Canadian novelist and short story writer. He was born in North Battleford, Saskatchewan in 1936, but moved back to Cape Breton when he was 10. He died in Windsor, Ontario in 2014. He taught English and creative writing at the University of Windsor for more than 30 years, but returned to his family’s homestead in Cape Breton every summer to write. 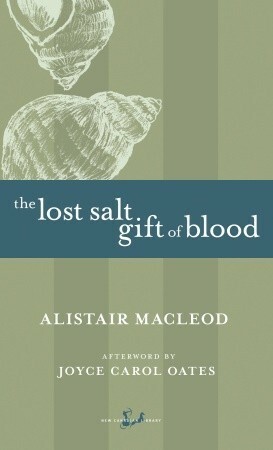 Although Alistair MacLeod is well known for his short story collections The Lost Salt Gift of Blood and As Birds Bring Forth the Sun and Other Stories, his novel No Great Mischief was voted Atlantic Canada’s greatest book of all time in 2009. It also won several literary prizes. 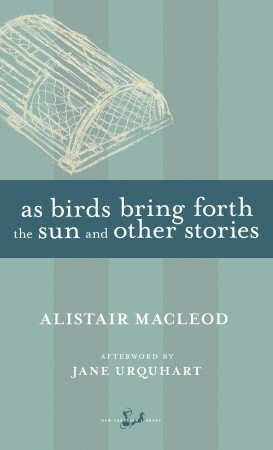 To read more about Alistair MacLeod and the recognition his work has received, see Wikipedia. I also love this article in The Globe and Mail, written by Steven Galloway after Alistair MacLeod died, about what the writer meant to him. Also, this compilation of friends and peers paying tribute at the National Post. 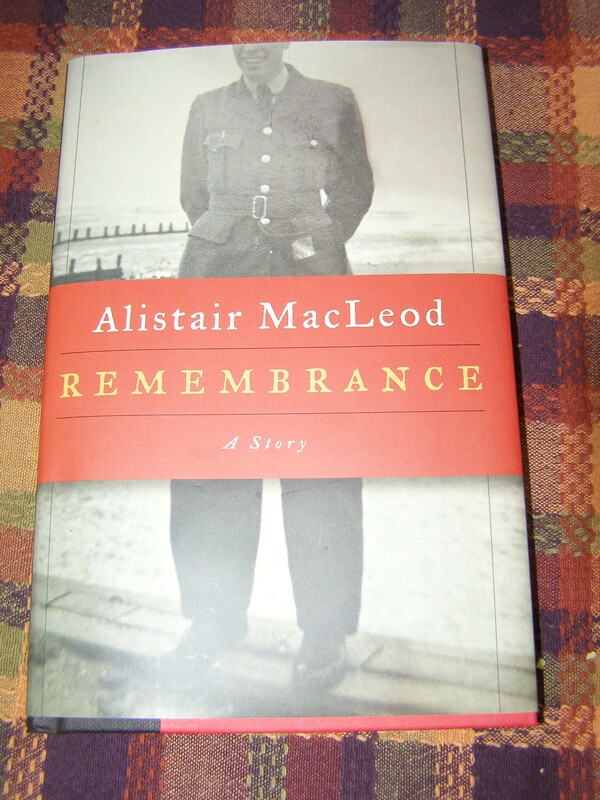 I have just recently read Alistair MacLeod’s last published story, Remembrance. Several years ago, I read No Great Mischief, but this is the first of his short stories that I have read. It will not be my last. Remembrance feels so real. In so few words, and with great attention to detail, Alistair brings to life three generations of men in Cape Breton; a grandfather who has long ago been to war, his son who was eager to be with him when he came back, and his grandson whose life now seems far removed from theirs, but is still connected “as a link in a chain reaching back to the Second World War and to its aftermath”. Through this story, not only do we care about the characters, but also about any other family affected by a loved one who went off to war and came back to a life that has been altered forever. This is David MacDonald’s story. As he is preparing to attend what will probably be his last Remembrance Day ceremony, he looks back on his life; his family, the war, the bad but also the good that came out of it all. And “how the present always comes out of the past”. Reading this book as Remembrance Day approaches, as well as in light of recent events in Ottawa, is a good way to remember and reflect on all the soldiers and their families who have sacrificed either their own lives or the lives of the ones they love. In remembrance, all of his senses still seemed rawly open to those scenes of mud and desolation from that time of more than fifty years ago; the month-long campaign in the cold, rain-darkened days of December; the earth-shaking artillery explosions and the hurtling shards of shrapnel; the mounting losses of men around him from wounds or illness, so bad that young soldiers who barely knew how to fire a gun were thrown into action; some of the young boys weeping and soiling themselves; officers or the sergeants who replaced them, urging their men on toward the next German-occupied ruined house; the houses with terrified Italian men, women, and children hiding in the cellars; the tiny allocations of rum. All of our lives were affected by a war that brought its changes down upon us. Some of us were saved by actions, and some by accident, as the past produced the present. These are my grandparents. Like David MacDonald, and so many others, in WWII my grandfather served in both Italy and Holland. Do you have any stories to share about how you or your family have been affected by war? *Thanks to the publisher for sending me a copy of this story in exchange for an honest review. I don’t have any stories that have been passed on to me, but in researching family history I found out that a younger brother of my great-grandfather served in the Pacific during WWII and died there. I never knew my great-grandpa January or his parents, but I can only imagine the pain they felt when they found out that their son had died. I don’t think his body ever came home either. A sad story. There must be so many unrecovered bodies out there! I wish that I knew more about the places my grandfather served. When I was young, I didn’t have much interest in listening to his war stories, but now I regret it. Is the short story published as a stand-alone book? Wondering if I should read it and call it a novella for Novellas in November… I read No Great Mischief this year and loved it. It’s published as a book (I think before now it was only available as an e-book), and it is 47 pages long. I guess it’s definitely a short story, but if it’s published alone, then I say go ahead and read it as a novella! 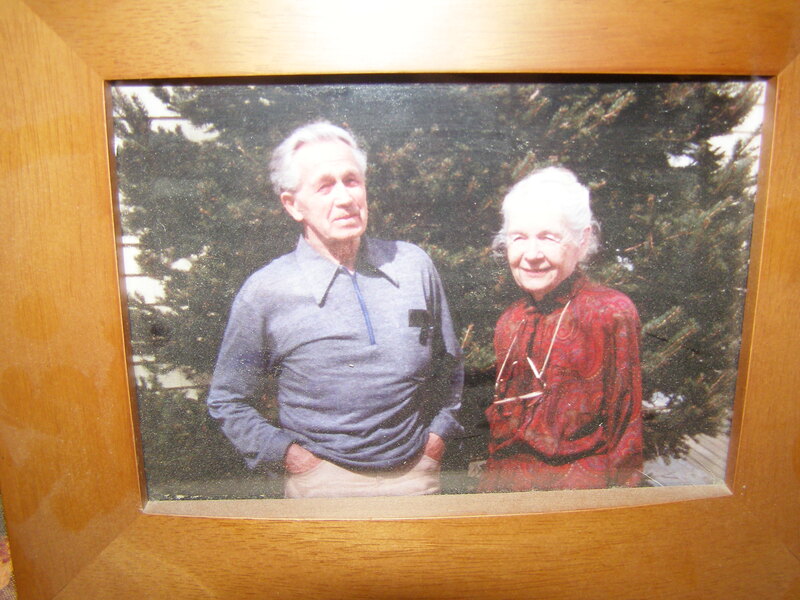 Beautiful photo of your grandparents! What a great story, I think I will try to squeeze it in this month too. It’s short and sweet! And, thanks, I keep this picture on my piano. 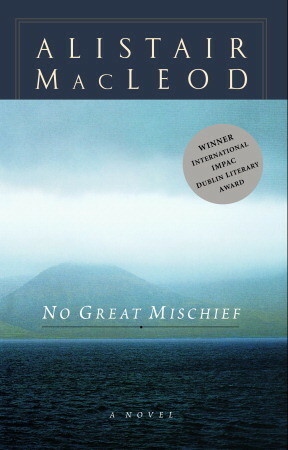 I thought I had read MacLeod, but I obviously haven’t. I’ll have to put him on my list. He also has a son who has written a short story collection called Light Lifting. Alexander MacLeod. Maybe it was him that you read? I think I’m getting him mixed up with someone completely different. One of my very favourite authors! I really have to read more of his short stories! It’s amazing to think about all the unique stories that are out there, but frustrating that there is no way to know them all. If my grandfather was still around, I would have so many questions for him. Thanks for sharing your story! You should! But I actually think I prefer his short stories. Looking forward to your review!